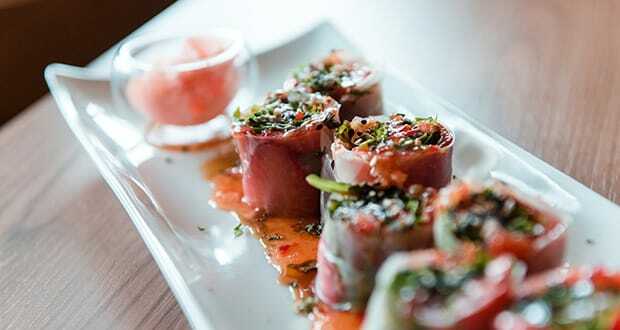 For a smart setting in which to enjoy exciting fusion food, head to Markus Innobar. Situated on the Paseo de Portixol, the fifteen minute walk from Palma along the seaside promenade is perfect for building up an appetite. You’ll need it. 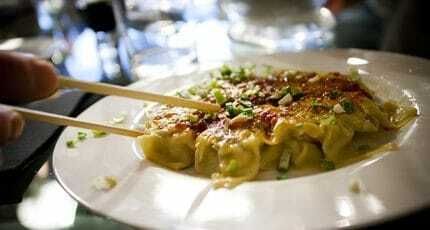 The dishes are generous and many designed for sharing. 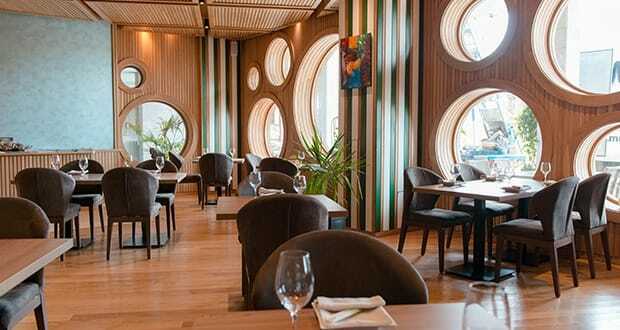 The exterior is made up of a series of circular windows reminiscent of portholes. The stylish cabin vibe extends inside with floor to ceiling wood pannelling. Passionate about high quality food, owner Dimitri Lavryshchev’s eyes light up as he talks about the twists to the menu. 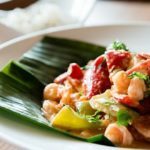 Since opening in May 2016 they have gained a loyal and discerning clientele who are drawn to the creative kitchen which merges tastes from Japan and Thailand, as well as Latin America and the Mediterranean. 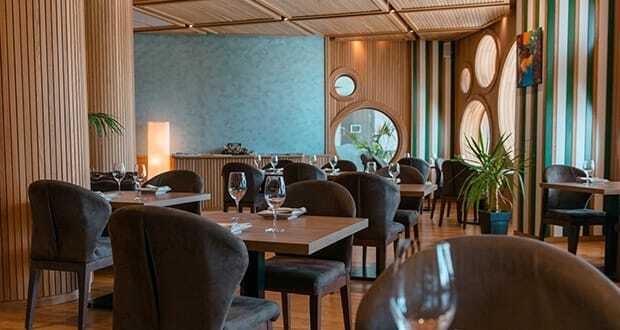 The restaurant takes its name from their original chef Markus Vinicios, son of acclaimed chef Emilio Castrejón of Palma-based restaurant Emilio’s. 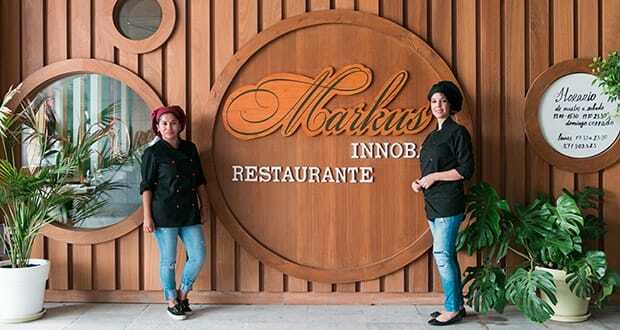 Though Markus has moved on, the talented founding team remains the same including experienced chef, Jennifer Flores. 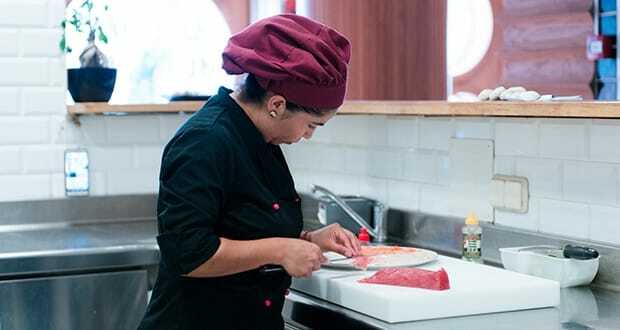 Eager for us to connect with the most characteristic dishes on the menu, Dimitri started us off with a selection of finely cut sashimi of tuna, salmon and sea bass. The citric-based ponzu sauce was deliciously tart and combined well with the delicate flavour of the fish. 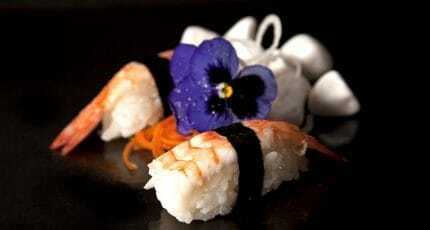 The Japanese sauce also served as an accompaniment for the exquisite langoustine and avocado sushi. Perfectly formed, lightly crunchy and with hints of orange and kimchi chilli, my companion and I agreed it was some of the best sushi we’d tasted on the island. The next dish was a refreshing and unusual combination of chopped strawberries, slithers of tuna tartar and peppery rocket packed together in sumptuous bundles. It made for a picturesque table decoration, the contrast of strawberry pink and dark green prompting me to think of a wedding bouquet. The taste was fantastic, the only trouble being they were quite a mouthful to eat in one go. 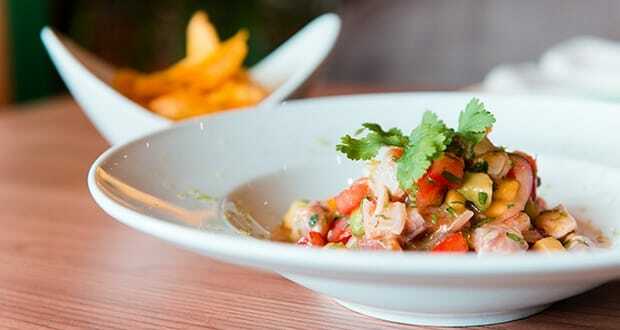 For the cooked options, we had a ‘moqueca‘, a Brazilian fish dish in creamy coconut sauce. 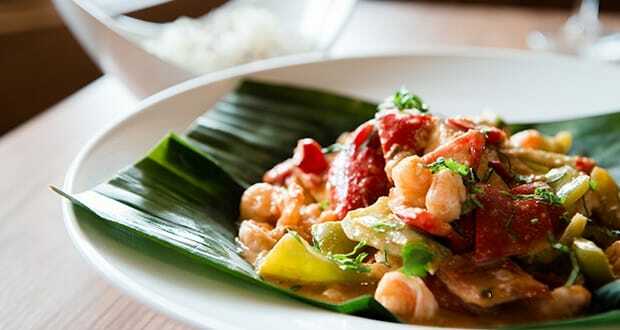 If you love Thai food, then you will really enjoy this well-balanced lightly spicy dish. For a meat option, we chose the ‘Mexican Solomillo‘. 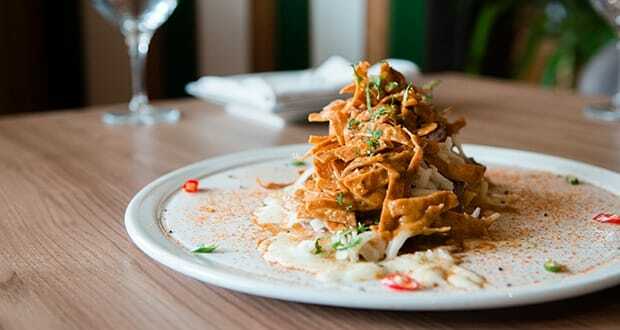 The tender piece of beef arrived topped with spicy tortilla chips and bathed in melted parmesan. For dessert we tackled a hearty German pancake-based pudding. The Kaiserschmarm was served with delicious vanilla ice cream and pureed apple. 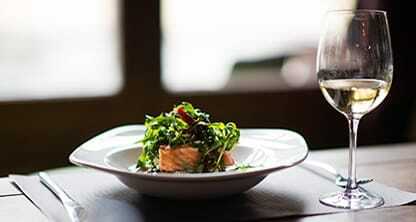 The service was professional and friendly, the cuisine of a high standard and the atmosphere comfortable and relaxed. For creative Asian fusion cuisine, including fantastic sushi, in a sophisticated and spacious setting walking distance from Palma. 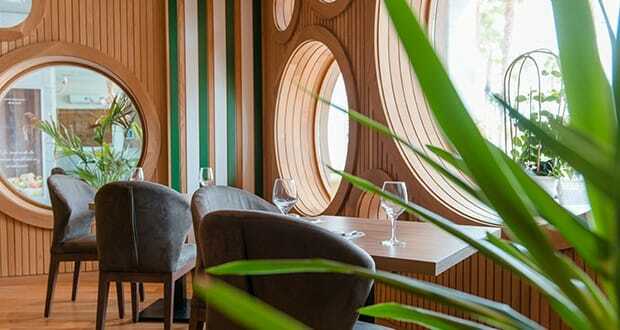 We hope you have found this article about the Fusion cuisine at Markus Innobar restaurant useful and that you have many memorable stays in Mallorca as a result of our recommendations.